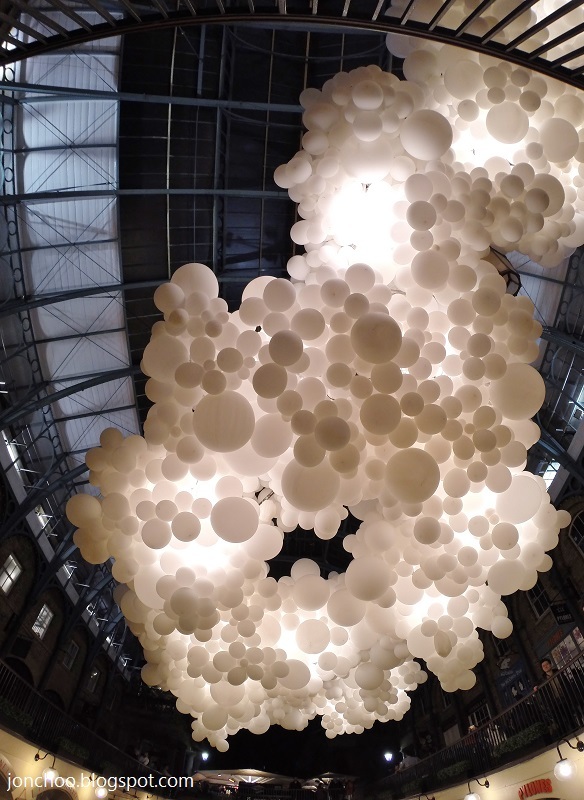 About 100,000 white balloons are currently suspended over the south Market Hall in old Covent Garden, Central London. Officially titled Heartbeat, the sculpture earns its namesake thanks to the a series of lighting installation that pulsates. The inflatable installation by Charles Pétillon was unveiled two weeks ago and will remain in place until 27 September 2015, so better get going before they all pop.